Jacki and Heather are the leading ladies of MMG Mortgages. They pour their heart and soul into every client file that crosses their desks. They have an absolute passion for this industry and not only love helping people achieve their financial goals, but also strive to come up with a viable solution for even the most unique situations. Jacki and Heather are lifelong friends. Their journey started in kindergarten, while growing up together in the parks and schools of Calgary’s southeast community of Willowpark. Jacki and Heather went through school together, played sports together, raised their families together and of course have shared the same work ethic and passion for the mortgage business and helping others. After being veterans in the industry, they decided the next step was to start their own business. It was an easy transition with similar goals in mind, and they never looked back! The MMG Teamhas been honoured with various industry awards for top volume, customer service, and lender recognition awards. They are proud and engaged members of the Calgary Chamber of Commerce, and were a runner up in the Calgary Small business awards in 2015. Part of Heather and Jacki's successes have been based on the long-term relationships they have cultivated with local realtors, homebuilders, law firms and home appraisers. The common response from their clients would be that they never stopped at the bare minimum. Their passion goes beyond a mortgage approval. They go over and above with every client and on every transaction to offer outstanding service and to ensure that the customers experience is as positive as possible. The ladies have created an environment within MMG that is second to none in the mortgage world. 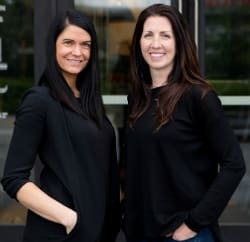 Most brokerages only specialize in one type of lending, but Jacki and Heather have taken the extra step to specialize in all areas of property financing. MMG has made it their mission to finance anything and everything based on their clients needs; whether that be commercial properties, construction financing, multi family or standard residential.